Remember when Barack Obama threw his white maternal grandmother under the bus of his lust for the presidency while throwing his former black preacher Reverend Jeremiah Wright more completely under that bus in the spring of 2007? That was cold, but it’s nothing compared to the president’s current assault on millions of other American grandmothers, including a disproportionate number of black and brown grandmothers. Recently, Obama released his Fiscal Year 2014 budget proposal. Claiming to offer an alternative to the sequestration budget cuts he and his Republican partners in austerity have introduced, the president is leading the charge to roll back Social Security and Medicare, the crown jewel liberal programs of the 1930s and 1960s—in the name of “deficit reduction.” The budget calls for $400 billion in Medicare and other health care cuts, requiring senior citizens to increase their payments or face reduced coverage. Obama advocates the “means testing” of Medicare, a longstanding elite strategy for reducing public support for social programs by limiting their benefits to the non-affluent. Obama is also advancing the reduction of Social Security benefits by calling for a “chained CPI” method to determine cost-of-living increases to those benefits. Obama’s dubious market calculations would cost retirees more than 2 percent of their incomes, “more than three times the burden imposed by Obama’s nominal tax increase on the rich last year” (Green Party presidential candidate Jill Stein, www.jillstein.org, April 11, 2013). Nearly two thirds (65 percent) of U.S. seniors rely on Social Security for the majority of their cash income. More than a third (36 percent) of U.S. seniors rely on Social Security for 90 percent of their income. More than 40 percent of elderly Americans would have incomes below the federal poverty line without Social Security. The president has nothing to say about the most simple and obvious way to call the bluff of those who claim that Social Security is in a spending-induced crisis—removing the regressive cap on the payroll taxing of incomes over $113,000 and adding a Social Security tax on capital gains. It’s one thing to throw your own grandma and preacher under the bus in service to your own political ambition. It’s something else to throw tens of millions of everyday American grandmothers and grandfathers—black and Latino/a seniors especially—under the bus in service to your own deeply conservative neoliberal ideology and to the super-entitled corporate and financial ruling class that sits atop a nation that has become so savagely unequal that the richest 400 Americans now possess more wealth together than the bottom half of the population (the six Wal-Mart heirs together have as much net worth as the bottom 41.5 percent, “Bernie Sanders Says Walmart Heirs Own More Wealth Than Bottom 40 Percent of Americans,” PolitiFact.com, July 31, 2012). Still, there should be no surprise at Obama’s latest attack on Social Security and Medicare. Consistent with his longstanding “vacuous-to-repressive neoliberal” (Adolph Reed, Jr. 1996) worldview (that is pro-corporate, pro-Wall Street, and state-capitalist)—honed at Columbia University, Harvard Law, the University of Chicago, the foundation world, and the corporate-financialist Hamilton Project—Obama has betrayed progressive and populist campaign rhetoric (indispensable for elections but highly dispensable in making policy) and his “progressive base” from the beginning of his presidency and indeed his political career (see Street, Barack Obama and the Future of American Politics, Paradigm, 2008). He’s been talking about the so-called “Grand Bargain” (better understood as the “Great Betrayal”) for years. He offered it openly during the elite-manufactured “debt-ceiling crisis” (summer 2011) that nauseated the nation and brought us sequestration. Obama flatly rejected the criticism in a special interview with USA Today and the Detroit Free Press. “It’s a mistake,” Obama told the newspapers, “to start thinking in terms of particular ethnic segments of the United States rather than to think that we are all in this together and we are all going to get out of this together.” Just because he happened to be black, Obama was announcing, black Americans should have no reason to think that he would be any more willing than George W. Bush or Bill Clinton to acknowledge and act upon the distinctive oppression and inequality experienced by many in the nation’s still highly segregated and relatively impoverished population. The title of the USA Today article reporting Obama’s response to the CBC criticism was on point: “President Says He Shouldn’t Put Focus on Blacks’ Troubles” (Justin Hyde and Richard Wolf, USA Today, December 4, 2009). It was all very consistent with Obama’s instantly and widely heralded Philadelphia Race Speech in March 2007—the one where candidate Obama said that Reverend Wright’s anger at U.S. racism may have been appropriate to an older period of American history but no longer applied to the color-blind present (see Street, Barack Obama and the Future). The black political class has accepted the president’s silence on race as an acceptable “necessary price for the pride and satisfaction of having a black family in the White House.” Meanwhile, Harris notes, black Americans experience “facts like these: 28 percent of African Americans, and 37 percent of black children, are poor (compared with 10 percent of whites and 13 percent of white children); 13 percent of blacks are unemployed (compared with 7 percent of whites); more than 900,000 black men are in prison; blacks experienced a sharper drop in income since 2007 than any other racial group; black household wealth, which had been disproportionately concentrated in housing, has hit its lowest level in decades; blacks accounted, in 2009, for 44 percent of new HIV infections” (Harris, “Price of a Black President”). “What matters,” anti-colonial psychiatrist Frantz Fanon wrote 61 years ago in his first book, Black Skin, White Masks, “is not so much the colour of your skin as the power you serve and the millions you betray.” Fanon was reflecting on the black African leaders who failed to serve the interests of the black masses whose national aspirations they rode to power in the post-World War II era. His formulation holds with haunting relevance to the performance of the in-power African National Congress in post-apartheid neoliberal South Africa and in its own way to the presidency of Barack “Under-the-Bus” Obama. There is, of course, one group of Americans who have clearly not been thrown under the bus by Barack Obama: the very predominantly white corporate and financial elite. “Despite all the criticism that President Obama has received lately from Wall Street,” the New Yorker’s perceptive economics writer John Cassidy noted in November 2010, “the Administration has largely left the great money-making machine intact. A couple of years ago, firms such as Citigroup, JPMorgan Chase, and Goldman Sachs faced the danger that the government would break them up, drive them out of some of their most lucrative business lines—such as dealing in derivatives—or force them to maintain so much capital that that their profits would be greatly diminished…” (John Cassidy, “What Good is Wall Street?” the New Yorker, November 29, 2010). None of these things—all widely supported by irrelevant pubic opinion—materialized, reflecting the moneyed elite’s success in defining “realistic” policy options for a president who wanted a second term. Cassidy’s sentiments were echoed two years later, on the eve of Obama’s re-election, by the global business journalist Chrystia Freeland, an up-close chronicler and occasional consort of the ultra-rich. 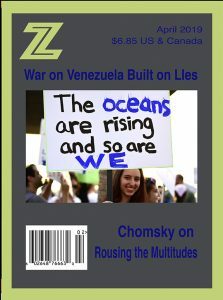 In a New Yorker essay titled “Super-Rich Irony,” Freeland observed the curious incongruity of “the growing antagonism of the super- wealthy toward Obama” when the president had “served the rich very well” by “support[ing] the seven hundred billion dollar TARP rescue package for Wall Street and resist[ing] calls from the Nobel Prize winners Joseph Stiglitz and Paul Krugman and others on the left, to nationalize the banks in exchange for that largesse” (Chrystia Freeland, “Super-Rich Irony,” New Yorker, October 8, 2012). To really grasp the depth and degree of Obama’s commitment to protecting the super-wealthy elite that crashed the U.S. and global economy—creating thereby the very fiscal deficit that Obama and the right use to advance austerity and the attack on the grandmothers of America—you have go back to the spring of 2009. In his important book Confidence Men: Wall Street, Washington, and the Education of a President (2011), the Pulitzer Prize-winning author Ron Suskind tells a remarkable story from March 2009. Three months into Barack Obama’s supposedly progressive, left-leaning presidency, popular anger at Wall Street was intense and the nation’s leading financial institutions were weak and on the defensive in the wake of the financial collapse and recession they had created. The new president called a meeting of the nation’s top 13 financial executives at the White House. The banking titans came into the meeting full of dread. As Suskind notes: “They were the CEOs of the thirteen largest banking institutions in the United States…. And they were nervous in ways that these men are never nervous. Many would have had to reach back to their college days, or even grade school, to remember a moment when they felt this sort of lump-in-the-throat tension. In the end, however, the frightened captains of high finance left the meeting pleased to learn that Obama was firmly in their camp. For instead of standing up for those who had been harmed most by the crisis—workers, minorities, and the poor—Obama sided unequivocally with those who had caused the meltdown. “My administration is the only thing between you and the pitchforks,” Obama said. “You guys have an acute public relations problem that’s turning into a political problem. And I want to help…I’m not here to go after you. I’m protecting you…. I’m going to shield you from congressional and public anger.” For the banking elite who destroyed millions of jobs in their lust for profit, there was, as Suskind puts it, “Nothing to worry about. Whereas [President Franklin Delano] Roosevelt had [during the Great Depression] pushed for tough, viciously opposed reforms of Wall Street and famously said ‘I welcome their hate,’ Obama was saying ‘How can I help?’” (Suskind, Confidence Men). “When the bankers arrived in the State Dining Room, sitting under a portrait of a glowering Lincoln,” Suskind notes, “Obama had them scared and ready to do almost anything he said…. An hour later, they were upbeat, ready to fly home and commence business as usual” (Confidence Men). (Speaking of Abraham Lincoln, he said in his famous Gettysburg Address that America was fighting a Great Civil War so that “Government of the people, by the people, and for the people shall not perish from this earth.” “If what has been happening continues,” says the Nobel laureate Joseph C. Stiglitz, reflecting on the plutocratic power of financial elites in the U.S. today, “that dream is in peril…1984 is upon us” [(Joseph C. Stiglitz, The Price of Inequality: How Today’s Divided Society Endangers Our Future, W.W. Norton, 2012, 137, 146]). Emboldened and reassured by Obama’s expressed desire to “protect” and “shield” them, the nation’s leading bankers had little difficulty preventing the president and Congress from making any serious effort to regulate them in response to the disaster they had generated. “Once the [financial] hemorrhaging stopped and Congress sat down to write a new law to prevent a future collapse,” notes the veteran national correspondent Hedrick Smith, “Wall Street was back at lobbying full throttle, resisting almost every regulatory idea…. At the very moment when Wall Street’s credibility should have been in tatters” and “the political climate demanded action,” Smith notes, “the top bankers showed that they “still dominated political Washington despite the dangers [they posed] to the U.S. economy.” Endowed with 1,400 lobbyists and following a policy of “obstruct and delay,” they waited for the public to lose interest in the complexities of financial reform and the legislative process. Thinking of this history, which lives on, I am reminded of something the prolific left Australian author, filmmaker, and journalist John Pilger said about Obama in the summer of 2009. “The clever young man who recently made it to the White House,” Pilger told a gathering of socialists in San Francisco, “is a very fine hypnotist, partly because it is indeed exciting to see an African American at the pinnacle of power in the land of slavery. However, this is the 21st century and race, together with gender and even class, can be very seductive tools of propaganda. For what is so often overlooked and what matters above all, is the class one serves” (John Pilger, “Obama and Empire,” Speech to the International Socialist Organization, San Francisco, California, July 4, 2009). It isn’t only racism that Obama’s technically black identity has helped cloak and obfuscate. Along with his technically Muslim nomenclature and global parentage and upbringing, Obama’s skin color and his subtle rhetorical deceit have in an identity-obsessed political culture helped put false rebel’s clothing around his deeply conservative commitment to related domestic and global power structures of class and empire. For what it’s worth, a cadre of radical commentators and activists (none more insistently and consistently than those associated with Black Agenda Report) knew the score on “Under-the-Bus” Obama and tried to warn other lefties and serious liberals off “the Obama Kool-Aid” early on. A short list of those voices includes Pilger, Adolph Reed Jr., Glen Ford, Bruce Dixon, Michael Hureaux, Margaret Kimberly, Doug Henwood, Juan Santos, Ralph Nader, Matt Gonzales, Greg Guma, Marc Lamont Hill, Pam Martens, Alexander Cockburn, Jeffrey St. Clair, Kim Peterson, David Peterson, Chris Hedges, Lance Selfa, Joshua Frank, Jeremy Scahill, John MacArthur, David Sirota, Ken Silverstein, and Noam Chomsky in such journals as Black Agenda Report, Z Magazine, ZNet, Dissident Voice, Harper’s, the Progressive, Truthdig, AlterNet, and SocialistWorker.org. (For my own warnings on and against the Obama phenomenon date from late July 2004—just two days after Obama’s pivotal, career-making keynote address to the 2004 Democratic National Convention—see Paul Street, “Keynote Reflections,” ZNet, July 29, 2004). The warnings were not heeded and seem to matter little now that Obama has nothing left to run for except Mount Rushmore. (A second Nobel Peace Prize seems unlikely). Thankfully, however, there’s an alternative in the present moment to the gruesome Great Betrayal advanced by Obama. The alternative is described by the officially invisible Green Party presidential candidate Jill Stein. She offers an excellent statement of what is called for and widely supported to address the jobs crisis, the health care crisis, the environmental (climate) crisis, and the budget deficit: “The real solution to the recession is to jump start the economy through a massive job creation program…. An alternative to the grim Grand Bargain is offered by the Green New Deal, a package of emergency reforms proposed by the Green Party. “This approach would end both the economic crisis and the climate crisis in one fell swoop. It would create 25 million jobs in green energy, sustainable agriculture, public transportation and infrastructure improvements—as well as jobs that meet our social needs, including teachers, nurses, day care, affordable housing, drug abuse and violence prevention and rehabilitation. It would be funded by scaling back the oversized military budget to year 2000 levels, adopting a Medicare-for-All insurance system that would save trillions of dollars, requiring Wall Street gamblers to pay a small (0.5 percent) sales tax, taxing capital gains as income, and taxing income more progressively. These key provisions of the Green New Deal enjoy majority public support in poll after poll. “The Green New Deal addresses the concocted deficit/debt problems by solving the bigger, underlying crises of an unraveling economy and accelerating climate catastrophe” (Jill Stein, “Obama Budget Throws American People Under the Bus,” www.jillstein.org, April 11, 2013). As should surprise nobody familiar with business-rule-as-usual in the U.S., Stein’s proposal has been thoroughly ignored in the nation’s dominant corporate mass media. This is no small part of what it means to live under the unelected dictatorship of money. Paul Street is the author of numerous books, including Racial Oppression in the Global Metropolis (2007), The Empire’s New Clothes: Barack Obama in the Real World of Power (2010), and They Rule: The 1 percent v. Democracy (Paradigm, forthcoming, fall 2013).